URL_DIR = os.getenv("HOME") + "/urls/"
Set the permissions on both these files to 777. The script web.py stores the file to URL mapings in a file called file-web.urls in a directory ~/urls. Make sure this file is present at the desired location. Create a directory called ~/urls and create an empty file called file-web.urls. 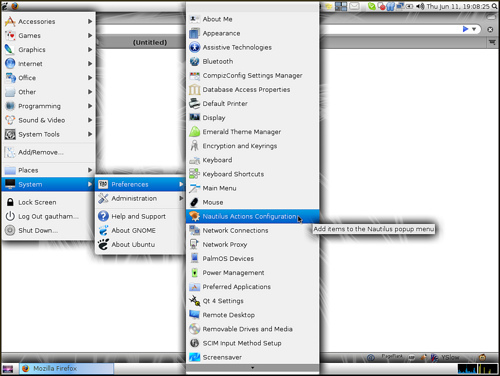 The script makes use of a command called zenity to create a dialog in which you can ask the user for URL’s. Make sure zenity is installed by entering this command from a command line. In the Profiles section, Click on Main and click Edit. 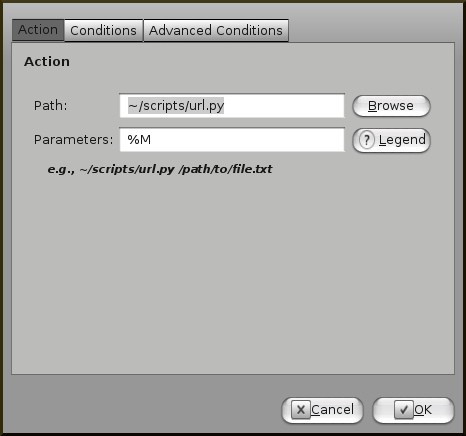 In the section: Actions, click Browse and select the script ~/scripts/url.py. In parameters, enter %M. Tooltip: Get info from the web for this file! In the Profiles section, Click on Main and click Edit. In the section: Actions, click Browse and select the script ~/scripts/web.py. In parameters, enter %M. 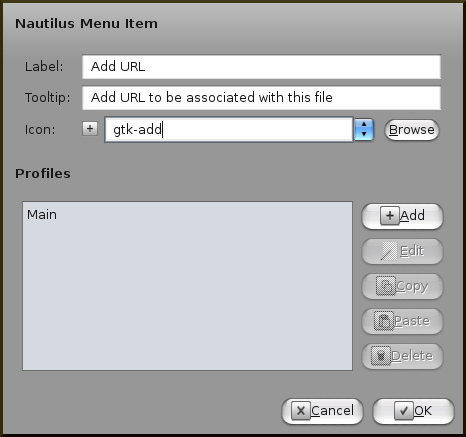 Now right click a file and you should see the 2 new menu items – Add URL and Web. Select Add URL and it should show up a dialog to enter a URL. Enter the URL to associate the file with. 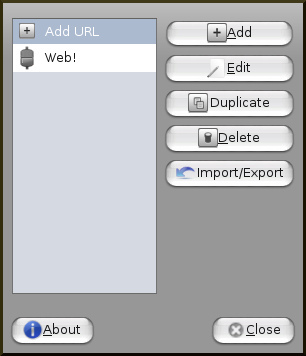 Now whenever you want to open the web URL, you can just right click the item and select ‘Web’! This script was a quick hack and so it makes use of a simple file to store the file to URL mapping. You could as well use a Berkeley DB to store the URL’s and provide ways to disassociate URL’s. You can also think of directly extracting the data from the page and showing it in some kind of popup. Now how’s that for a quick hackathon project?